John H. Schmidt Jr. :: Westfield Labor Lawyers Lindabury, McCormick, Estabrook & Cooper, P.C. John H. Schmidt, Jr. concentrates his practiced in the areas of employment litigation (including whistleblower claims, discrimination, breach of contract, wrongful discharge, and violation of restrictive covenant matters), traditional labor matters, and general corporate and commercial litigation. For more than thirty five years, John Schmidt has represented management in all areas of labor and employment counselling and litigation (including matters involving employment discrimination, breach of contract, wrongful discharge, and violation of restrictive covenant matters); he also engages in general corporate and commercial litigation. He has significant courtroom experience, having tried many cases in both the state and Federal courts, and has argued numerous cases before the New Jersey Supreme Court, the United States Court of Appeals for the Third Circuit and the Appellate Division of the Superior Court of New Jersey. He has also arbitrated numerous labor matters, and has handled charges and hearings before both the Equal Employment Opportunity Commission and the New Jersey Division on Civil Rights. John is an experienced litigator who tenaciously advocates on behalf of employers. Recently John represented a New Jersey based engineering company and won on summary judgment the dismissal of plaintiff’s complaint alleging wrongful termination and violations of the ADA and NJLAD. The court in this matter found that defendant demonstrated a legitimate, nondiscriminatory reason for plaintiff's termination. 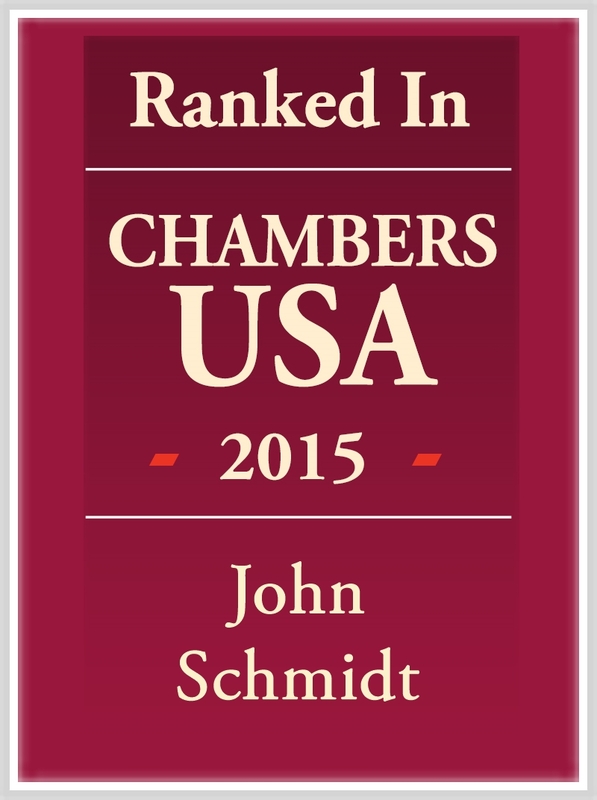 In 2015 Mr. Schmidt was first included in Chambers and Partners' USA Guide to Labor & Employment attorneys. Chambers and Partners is a highly regarded ranking company that distinguishes its listings by gathering information from clients, not from other lawyers. John, together with and other members of Lindabury’s Labor and Employment practice group, was co-author of the New Jersey chapter of the 2019 Chambers Global Practice Guide for Regional Employment. John is a founding member of the Academy of New Jersey Management Attorneys and is a fellow of the College of Labor and Employment Lawyers.